TOKYO -- U.S. Open champion Naomi Osaka advanced to the semifinals of the Pan Pacific Open by beating Barbora Strycova 6-3, 6-4 on Friday. 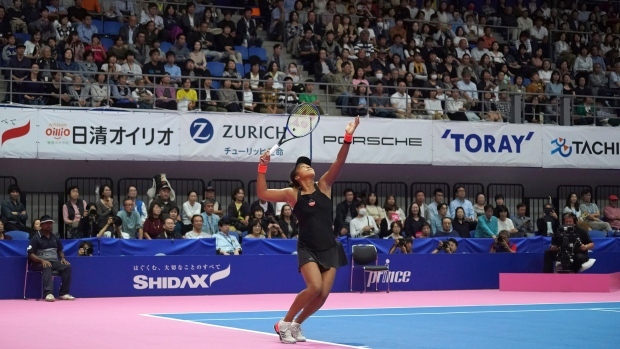 The third-seeded Osaka converted all three of her break points and won 80 per cent of points on her first serve. She will next face either Camila Giorgi or Victoria Azarenka. Osaka became the first Japanese player to win a Grand Slam singles title when she upset 23-time major champion Serena Williams in New York. Also, fourth-seeded Karolina Pliskova defeated Alison Riske 6-1, 6-7 (5), 7-6 (4). She will next play Donna Vekic, who beat second-seeded Caroline Garcia 6-3, 6-4.